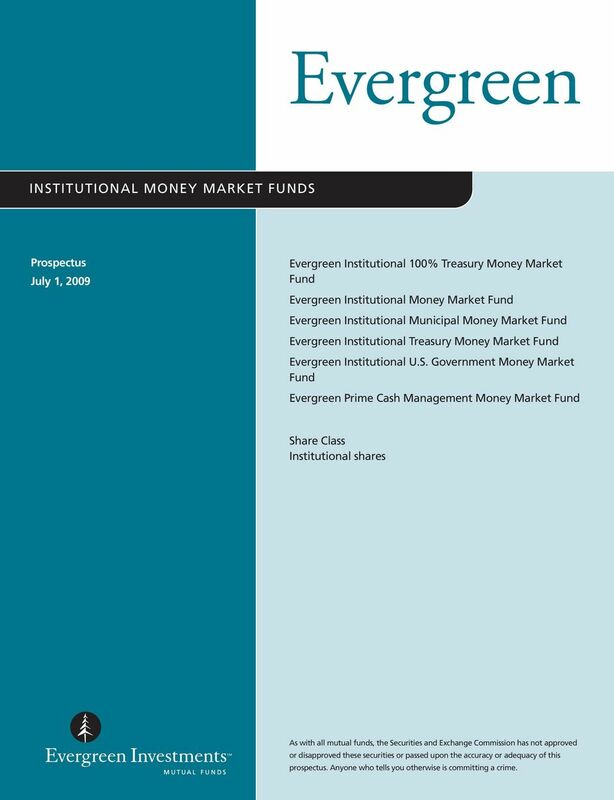 Download "Evergreen INSTITUTIONAL MONEY MARKET FUNDS. 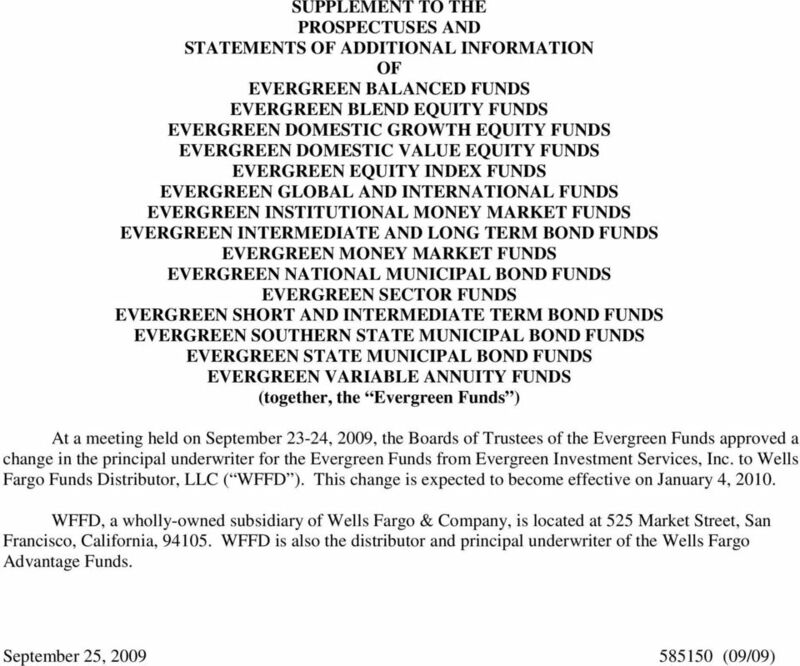 Prospectus July 1, 2009"
1 Evergreen INSTITUTIONAL MONEY MARKET FUNDS Prospectus July 1, 2009 Evergreen Institutional 100% Treasury Money Market Fund Evergreen Institutional Money Market Fund Evergreen Institutional Municipal Money Market Fund Evergreen Institutional Treasury Money Market Fund Evergreen Institutional U.S. Government Money Market Fund Evergreen Prime Cash Management Money Market Fund Share Class Institutional shares As with all mutual funds, the Securities and Exchange Commission has not approved or disapproved these securities or passed upon the accuracy or adequacy of this prospectus. 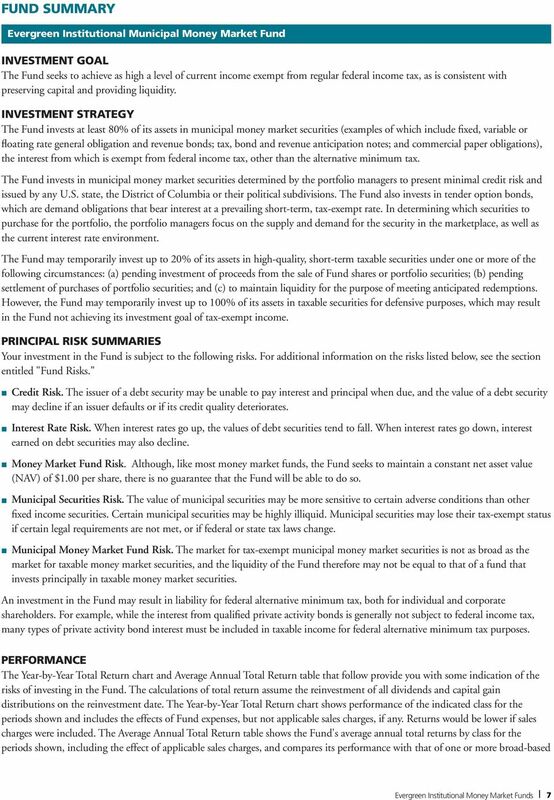 Anyone who tells you otherwise is committing a crime. 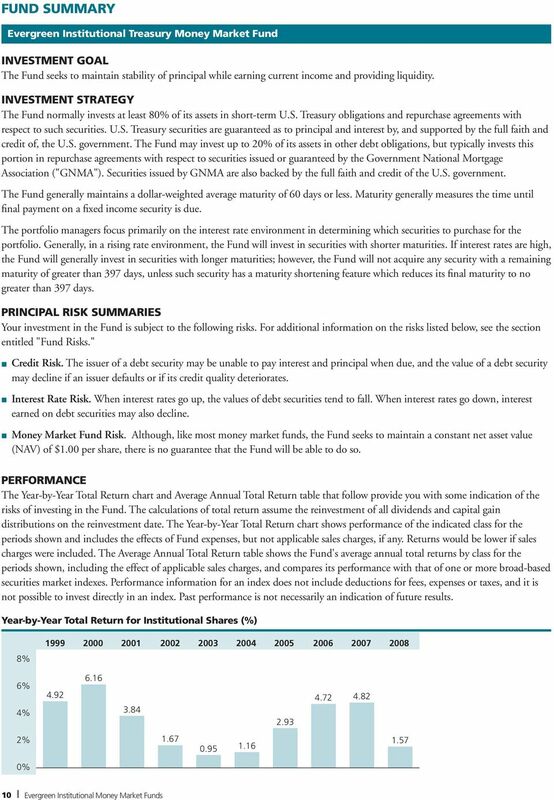 3 Special Note to Shareholders Regarding a Fund's Investment Goal: The Fund's Board of Trustees can change the investment goal without a shareholder vote. 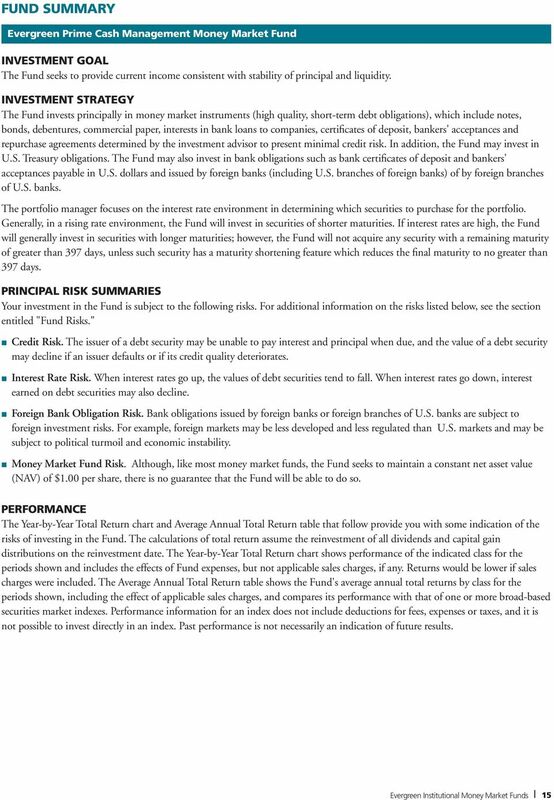 Risk Factors for All Mutual Funds Please remember that an investment in a mutual fund is: not guaranteed to achieve its investment goal; not a deposit with a bank; not insured, endorsed or guaranteed by the FDIC or any government agency; and subject to investment risks, including possible loss of your original investment. 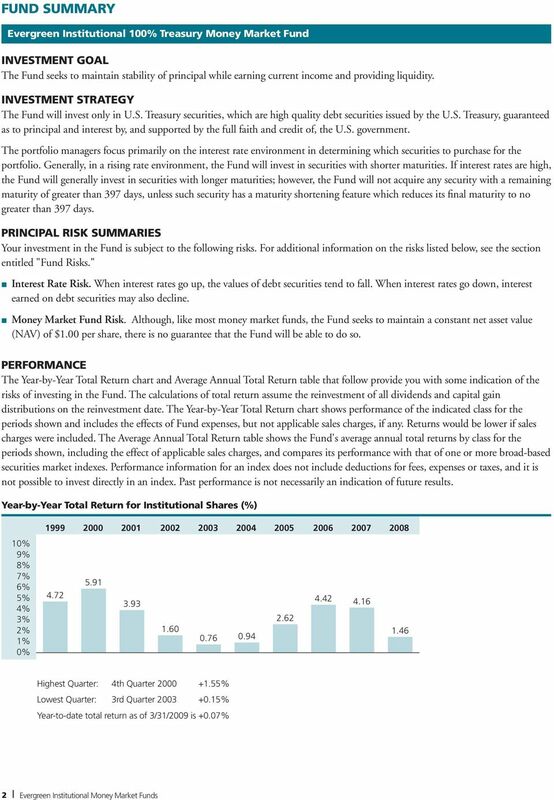 Like most investments, your investment in a Fund could fluctuate significantly in value over time and could result in a loss of money. 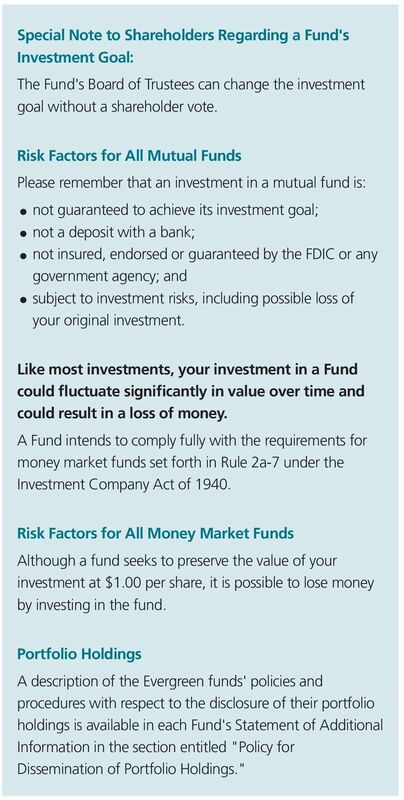 A Fund intends to comply fully with the requirements for money market funds set forth in Rule 2a-7 under the Investment Company Act of Risk Factors for All Money Market Funds Although a fund seeks to preserve the value of your investment at $1.00 per share, it is possible to lose money by investing in the fund. 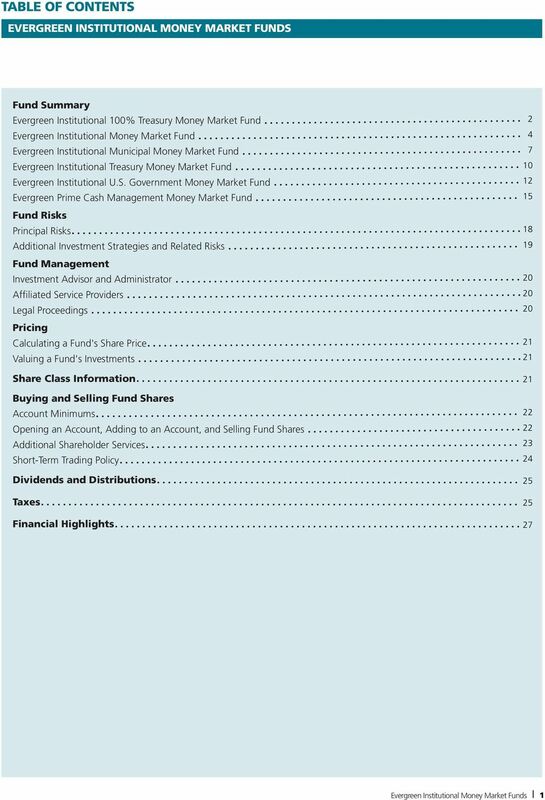 Portfolio Holdings A description of the Evergreen funds' policies and procedures with respect to the disclosure of their portfolio holdings is available in each Fund's Statement of Additional Information in the section entitled "Policy for Dissemination of Portfolio Holdings." 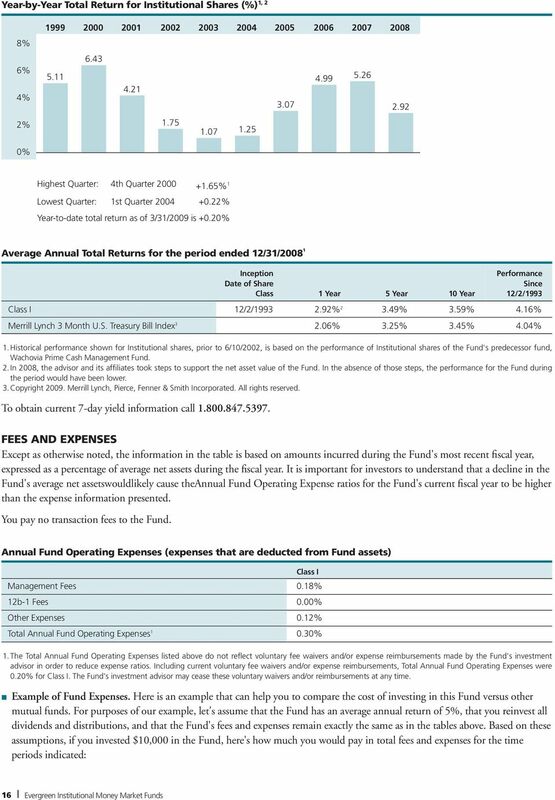 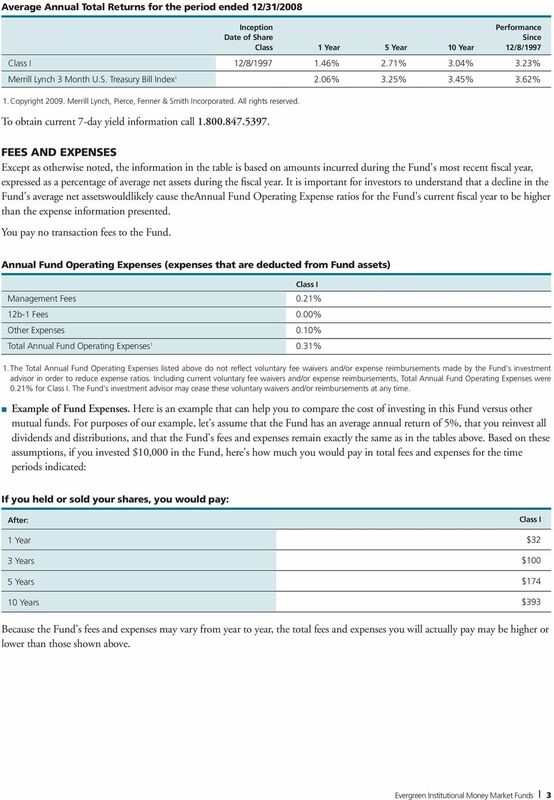 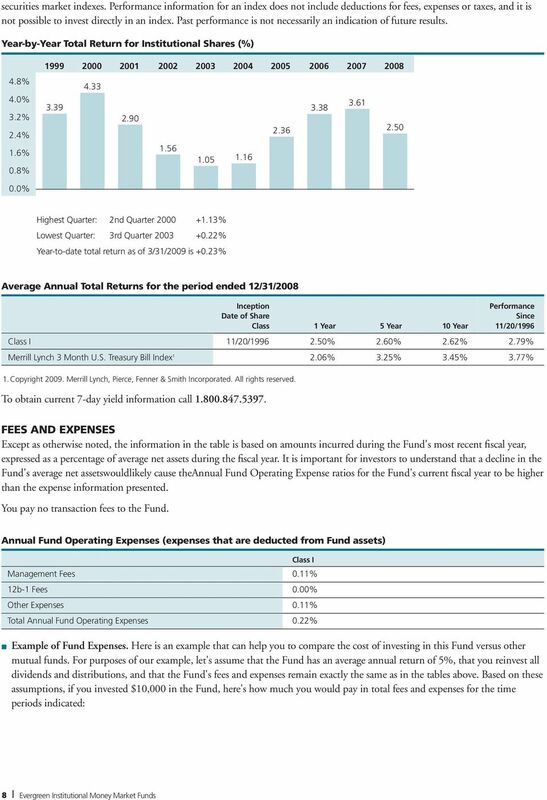 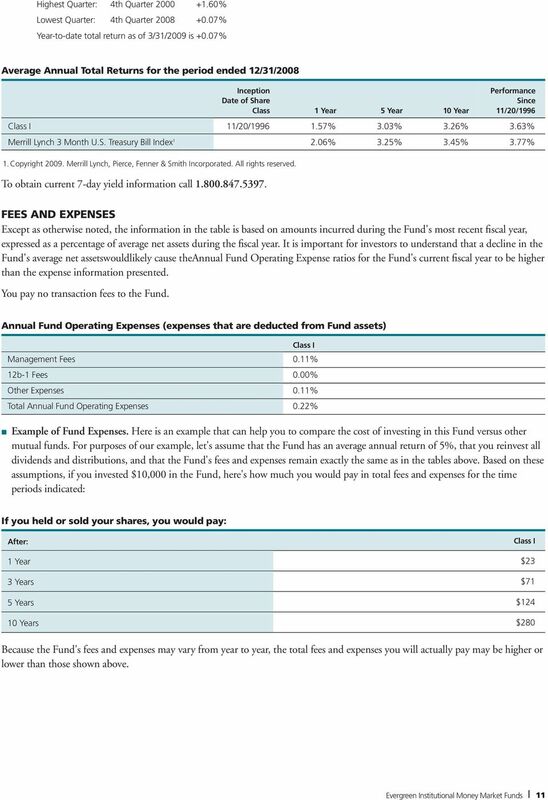 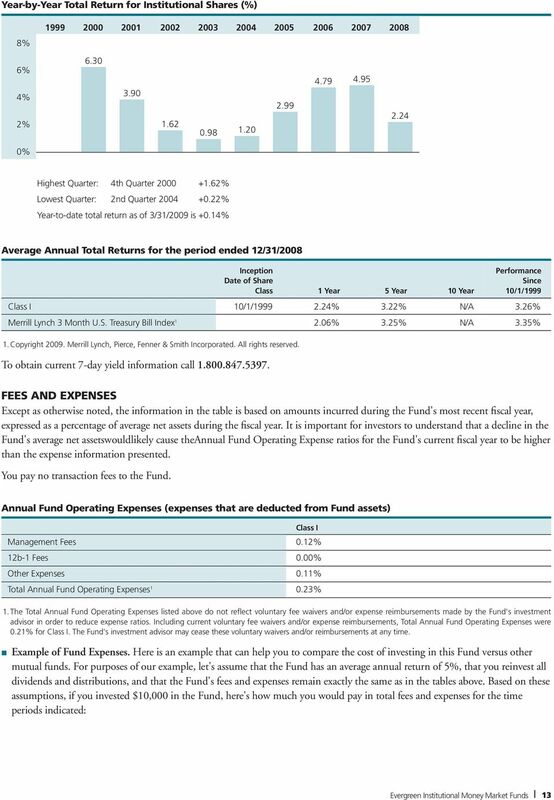 TD ASSET MANAGEMENT USA FUNDS INC.
Fees and Expenses of the Fund This table describes the fees and expenses that you may pay if you buy and hold Service Shares of the Fund. 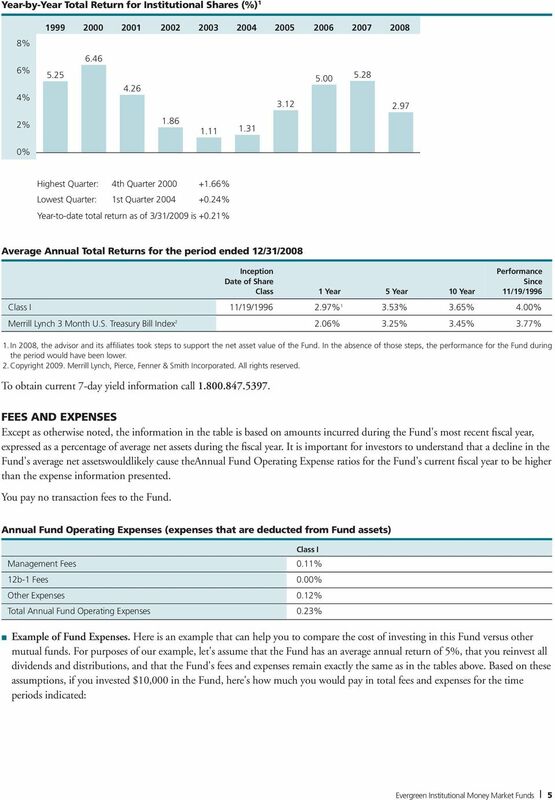 The Fund s investment objective is to seek to provide a level of current income consistent with limited price volatility. 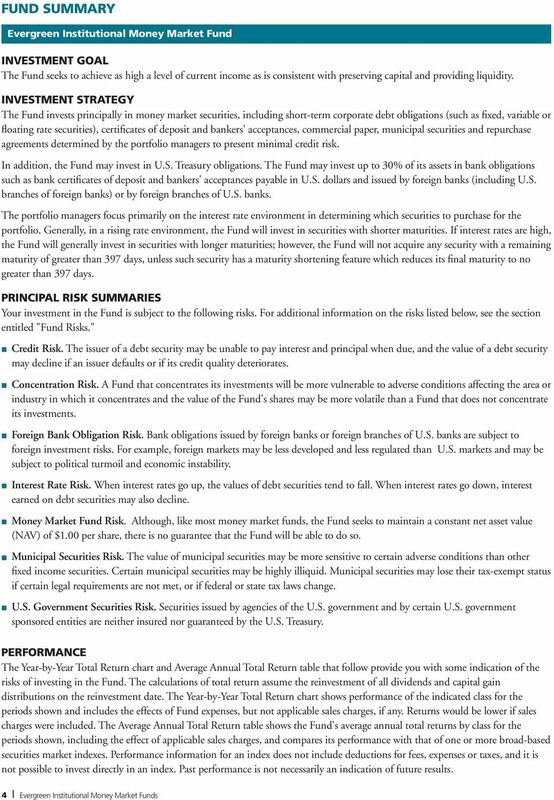 The Universal Institutional Funds, Inc.
May 1, 2002 The Universal Institutional Funds, Inc. 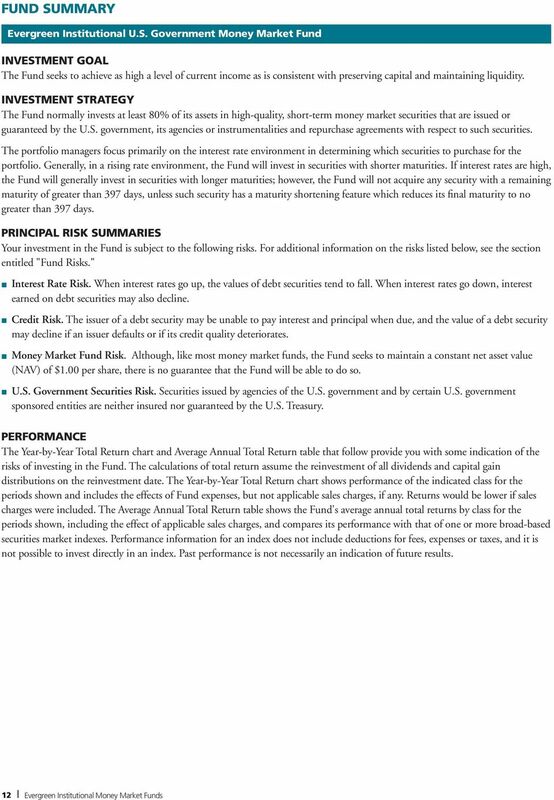 Global Value Equity Long-term capital appreciation by investing primarily in equity securities of issuers throughout the world, including U.S. issuers.